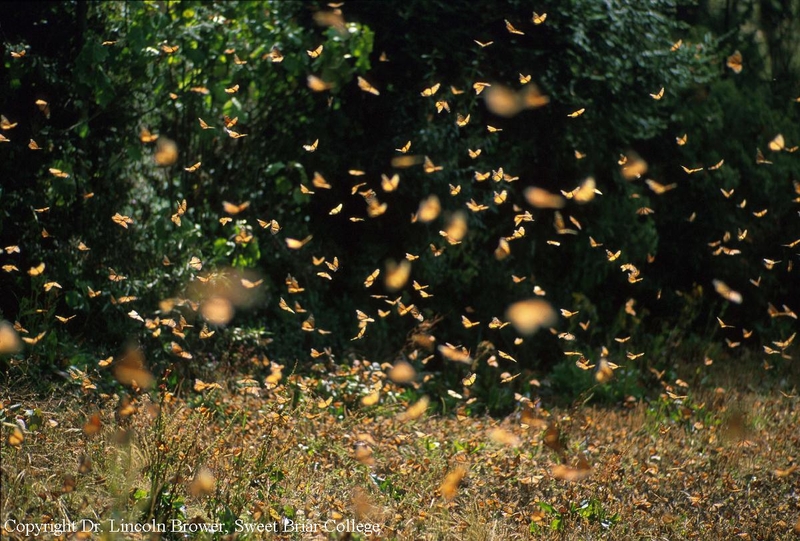 Monarchs migrate to Mexico from across eastern North America. 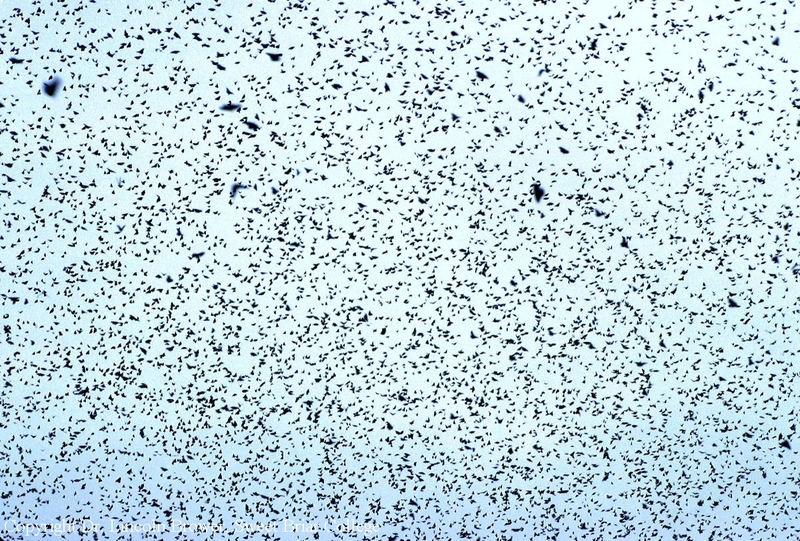 They gather by the millions in high altitude mountain forests. 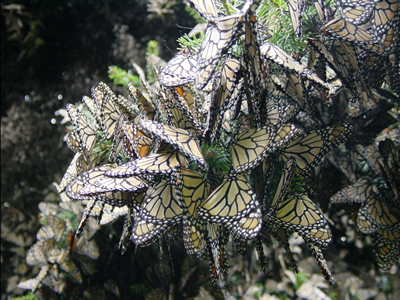 Only 12 mountaintops in the world have the unique habitat the butterflies need. The cool temperature of these high elevation forests slows the metabolism of the butterflies. They can survive the winter while eating little or nothing at all. When the forest is cut these unique microclimate conditions are destroyed. 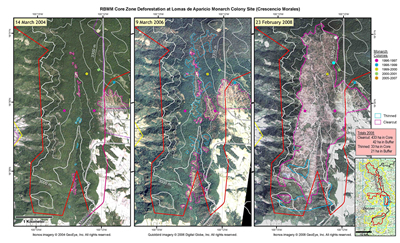 These images show evidence of a major illegal logging operation in the core zone of one of the 12 monarch winter sanctuaries. The logging has intensified in the past two years. Dr. Brower's scientific team includes Daniel Slayback, Science Systems and Applications, Inc., Lanham, MD; and Isabel Ramirez, of the National University of Mexico. 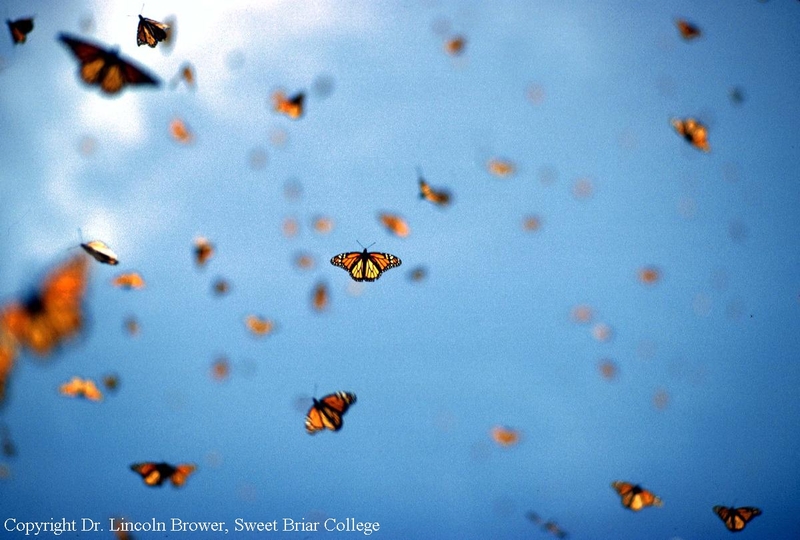 "We have not been able to determine if the widely disseminated news of raids and arrests of illegal loggers in the monarch butterfly region that took place in December 2007 included the individuals responsible for this particular logging, " says Dr. Brower of Sweet Briar College, Virginia. The grand exodus from the Mexican winter colonies is about to take place. 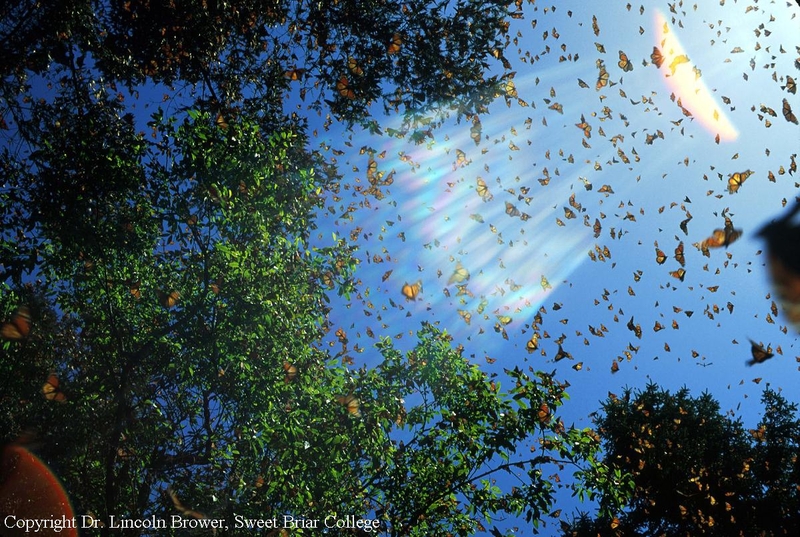 Within the month of March—a relatively short time—the butterflies will vacate Mexico and begin the recolonization of North America. The migration map above was made last spring from observations contributed by volunteers. This continent-wide effort helps scientists understand the pathways monarchs use and the habitat they need to survive.